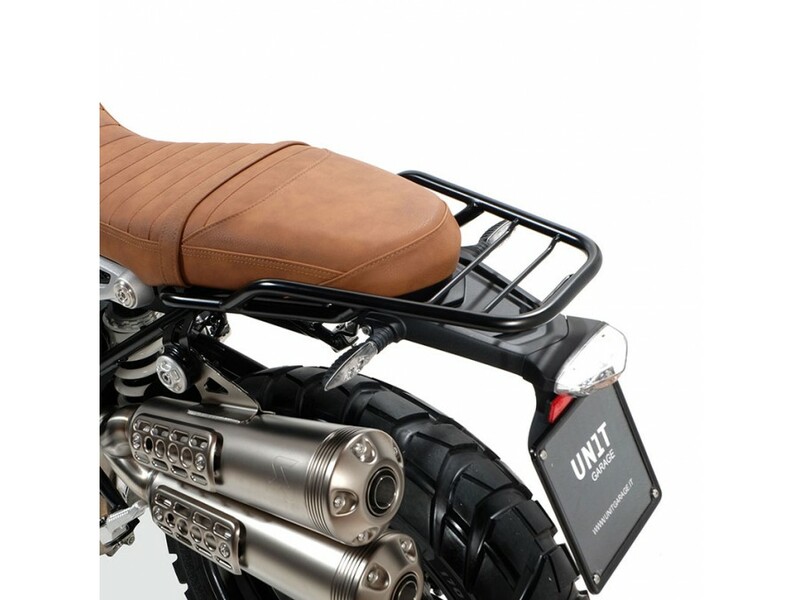 This is probably the best looking rack for the BMW R NineT on the market, complimenting the lines and style of the bike better than any of the other offerings we've found. 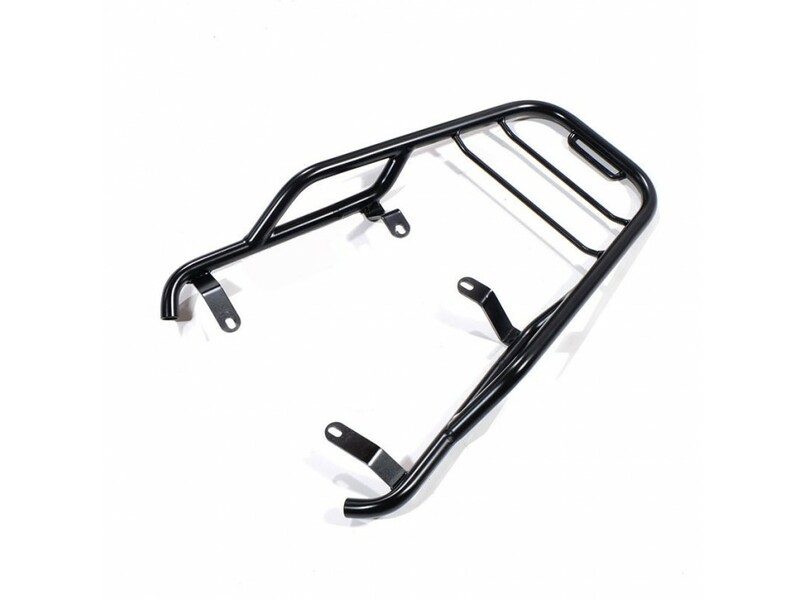 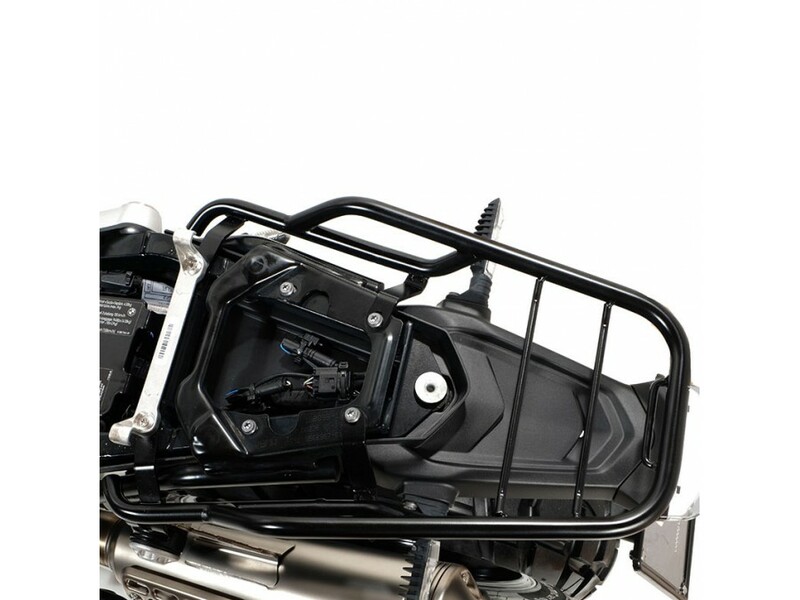 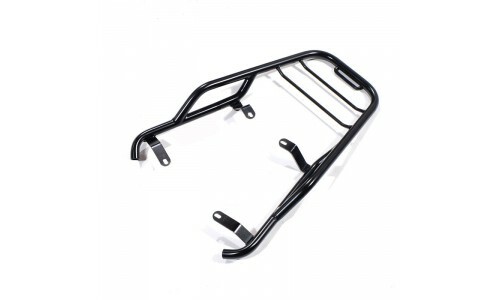 Constructed from steel tubing and finished with a matt black epoxy powder coating. 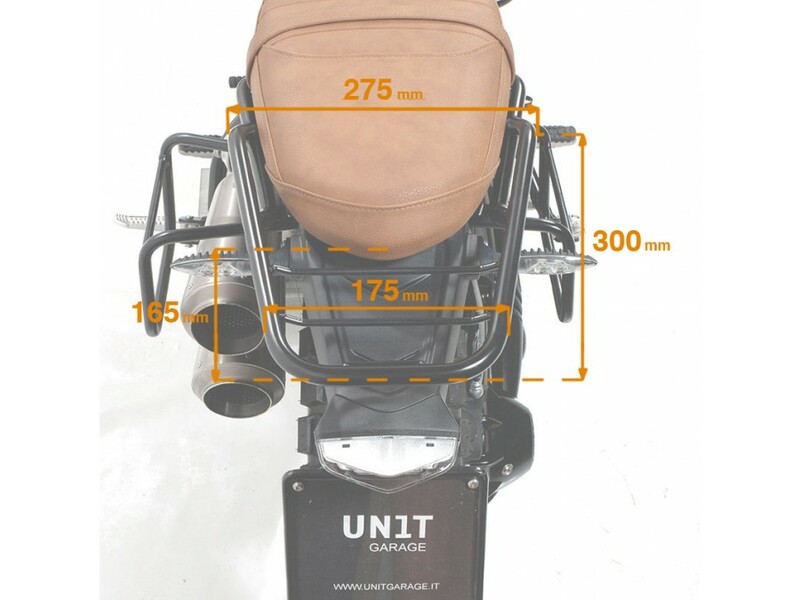 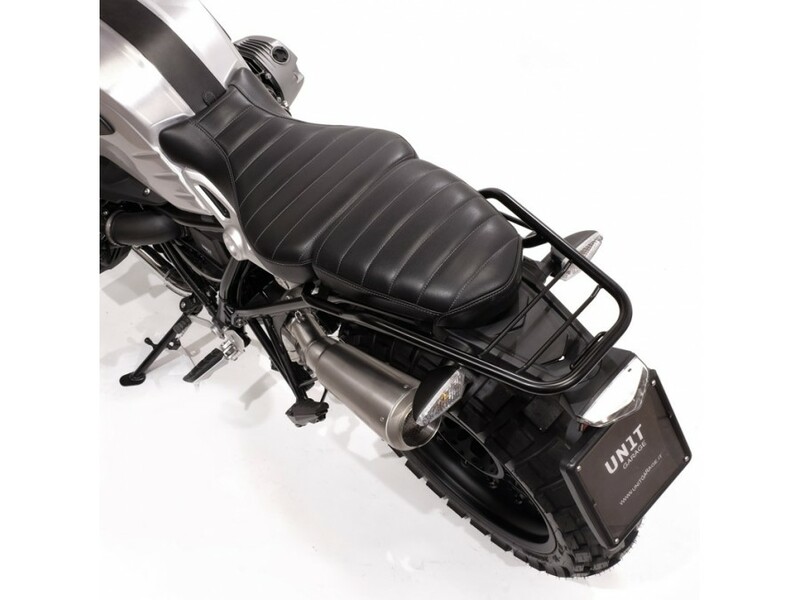 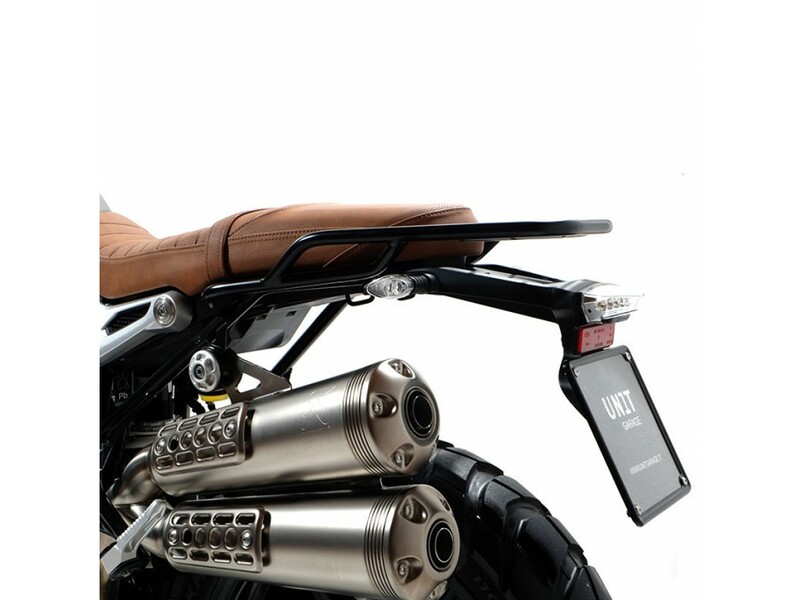 Integrating neatly with the bike, fitting is straightforward, with fixings accessed simply by removing the seat. 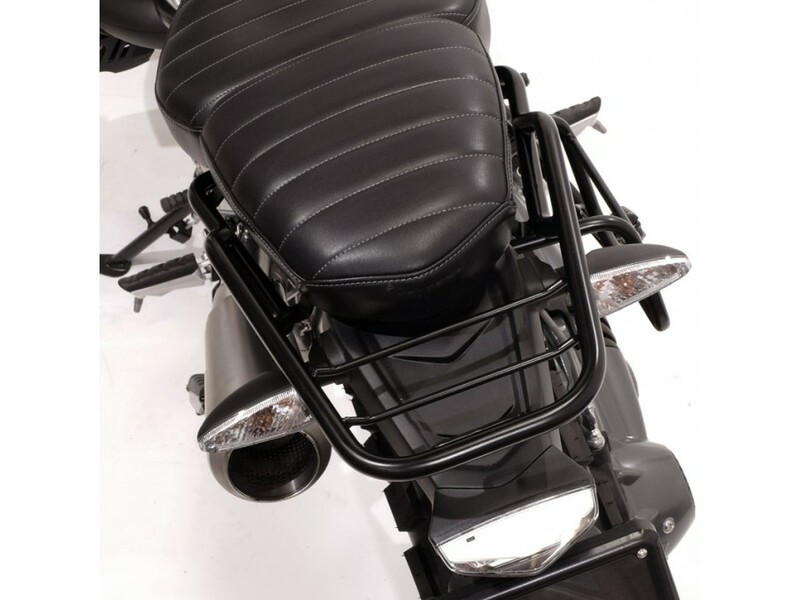 Lightweight and practical, it is equipped with guides for fixing bags, as well as integrating pillion handles neatly into the design. 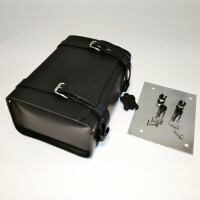 Rear Rack Leather Bag from Unit Garage Rear Luggage Bag in full grain, black leather, sewn with ..